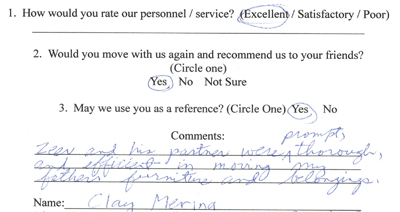 We take your move personally. 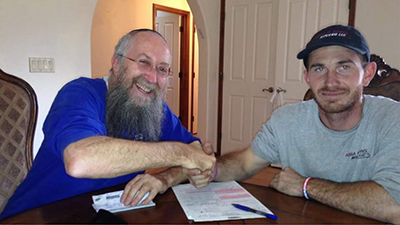 With a long list of satisfied customers, Abba and Sons Moving is dedicated to helping you move with minimum stress and maximum efficiency. We take your move personally. 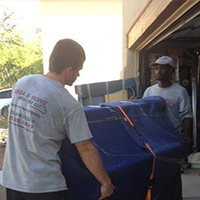 We are a locally-owned, full service moving company based in Tucson, AZ with over ten years in the moving industry. 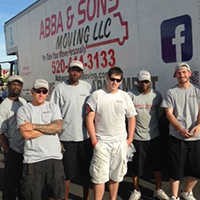 Abba and Sons Moving is based in Tucson Arizona and serves all of Southern Arizona and beyond. 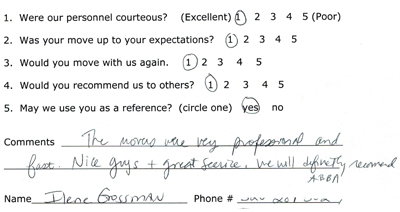 We are professional movers and we know how to move your belongings safely and securely. Trust Abba and Sons to get the job done right the first time and see what it looks like to have professionals help you move. 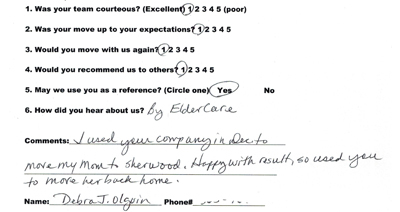 We continue to exceed our customers’ expectations with our dedication to excellent customer service and professionalism. We firmly believe that the quality of a company has everything to do with its employees and have staffed Abba and Sons Moving with a team that shares that philosophy. We take the following factors into account when estimating your job: Labor, Trucks, Travel Time, Materials, and Packing. Moves are charged on an hourly basis plus, travel time. The hourly rate includes the truck moving team, blankets and Dollies. We also provides additional optional materials and packing services. 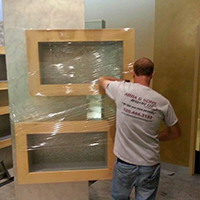 Abba and Sons specializes in homes, offices, apartments, 1-item moves, pianos, loading and unloading rental trucks. A large part of our business comes from repeat customers and referrals. We are Licensed, Bonded, and insured. 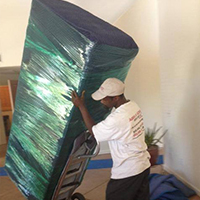 We offer everything from full service moves to single item moves and storage services. 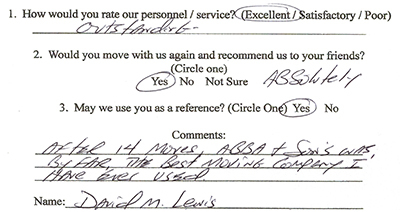 Thank you for choosing Abba & Sons Moving LLC. 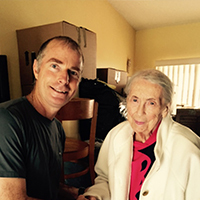 We are a locally-owned, full service moving company based in Tucson, AZ. 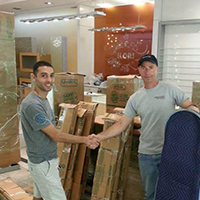 With ten years in the moving business, we seek to help you move with minimum stress and maximum efficiency. We serve all of Arizona, including: Tucson, Oro Valley, Marana, Vail, Benson, Sierra Vista, Green Valley, Casa Grande, all of Pima and Pinal counties, and the Phoenix metropolitan area – such as Phoenix, Scottsdale, Mesa, Gilbert, Glendale, Peoria, and more. 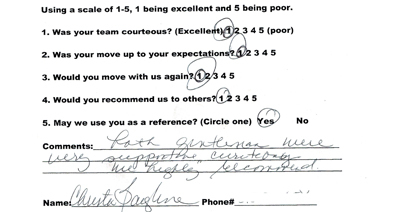 We recognize that you are entrusting us with your belongings. 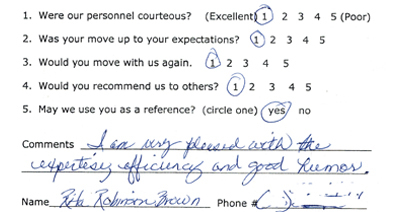 Please rest assured that we treat each move with the same care and dedication we would our own households. We take your move personally. Deciding which moving company you want to use and trust to move your valuable possessions can be a difficult task. 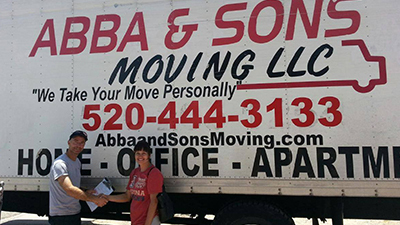 Abba and Sons moving will help you decide with a reliable quote and up front pricing.